We know from experience and research that supervisory relationships can be immensely rewarding and developmental. Yet the same relationships can also be, and often are at the same time, highly anxiety-provoking and conflictual. Supervision as a developmental process is often mixed with quality assurance, performance reports, or marking and evaluation. Such processes only amplify the substantial power relationships that are part and parcel of supervision and they make engaging well with a supervisor really tough and challenging. 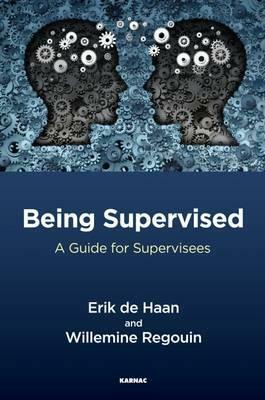 This book helps supervisees to get the most out of supervision and reap the unique and substantial benefits that can indeed be found on this profound journey.